I hope you are all having a fabulous day! I had a bit of time to play...thank goodness there is a little break between Christmas and New Years! 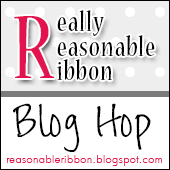 Today I am sharing with you my Really Reasonable Ribbon Post. Here are a couple close ups. 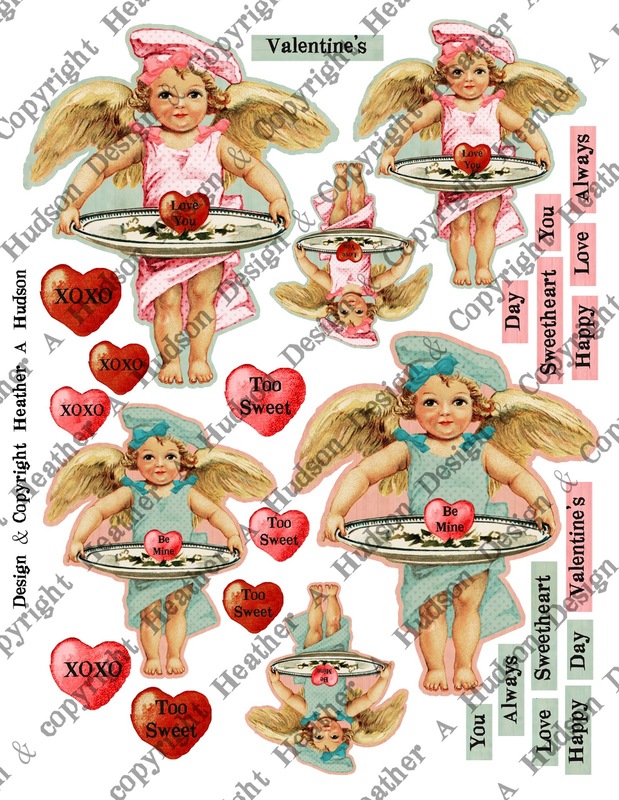 You can find the Sweet Cherub Image in my Etsy here. 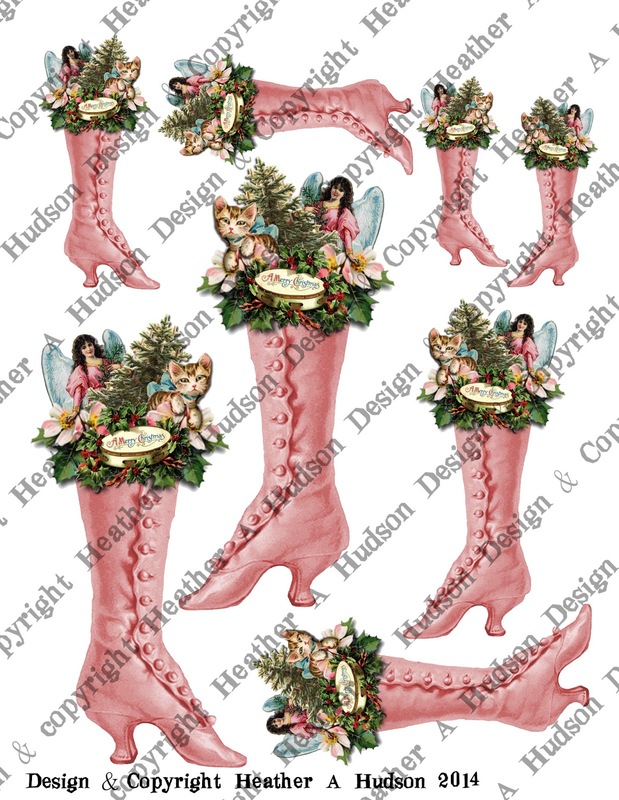 Gecko Galz images: Santa Dominos &Circles 2 sheet set, Christmas Carols 2 sheet set , Reindeer Games Sheet $1.00, Botanical Christmas Pack digi paper $6.00, Christmas Icons 2 sheet set $2.00 andDecember Magic 2 sheet set $2.00. Ranger's frayed burlap distress ink, glue stick, pop dots, scissors or digital cutter, and cardstock. Crop O Dile hole punch, copper jewelry wire, Designer Dries Clear Glue with Fine tip applicator. Fauna, Garnet, Ensalada, Lion's Mane, Goldenrod and Just Peachy glitters from Art Glitter. Button, peppermint Baker's Twine and Red Swirls Organza from Really Reasonable Ribbon. You can hop on over to the Gecko Galz blog to see how I created my tag. Close up of the bottom. 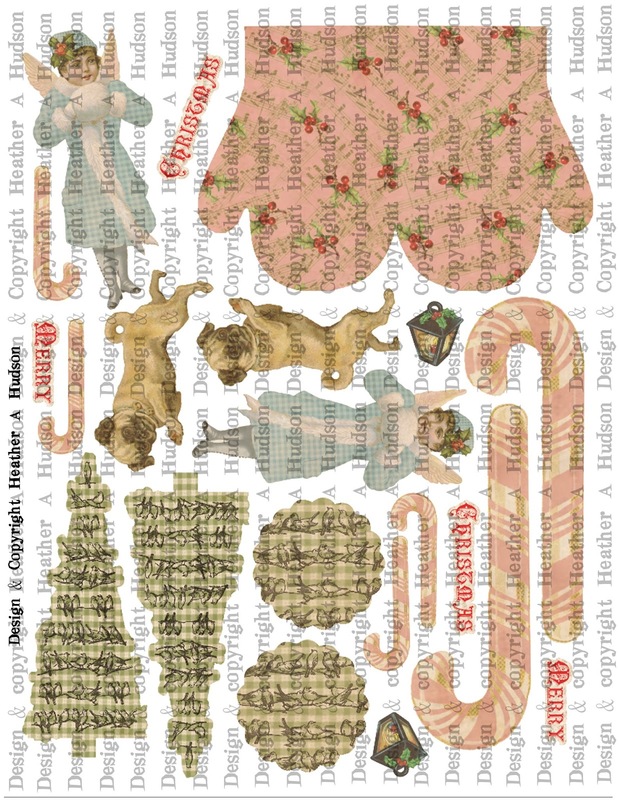 The Merry Christmas Text boxes and Christmas tree came from my Traditional Mitten Collage Sheet set. 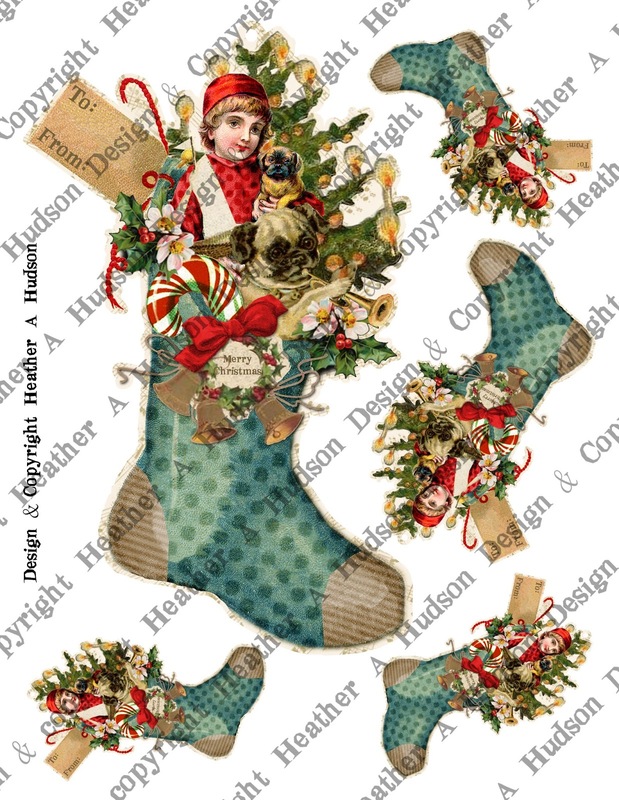 Pugsley came from my Vintage Pink Christmas Mitten set. Candi Fix it foam pads were used to elevate my Tree and Christmas gift. Scor Tape was used to hold down the wide gingham ribbon and Merry Christmas text boxes. I used my Zutter Bow it All tool to create my Red Gingham bow. Fauna Glitter was applied to the outer portion of my Bingo Base, Pugsley and text boxes. Just peachy was used on the gift, Ensalada on the tree. I wrapped the Peppermint Baker's twine around my package and my Christmas Tree and used it to tie a sweet little bow in my vintage button. One last look at the finished tag. I hope that you have a Happy Holiday! I hope you are having a fabby day! $50 Collage sheet give away! 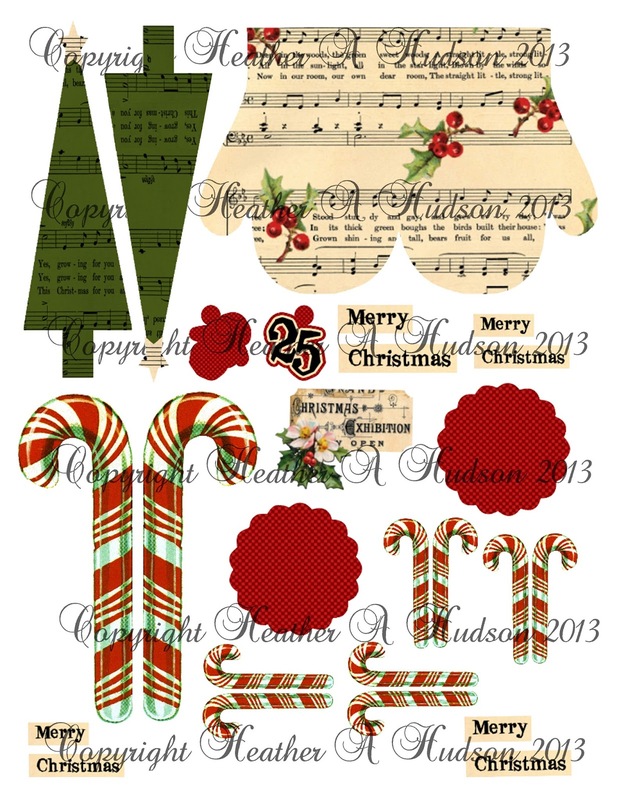 $25 Collage Sheet give away! Woot Woot to you as well!! Today I would like to share with you a new collage sheet that I designed. 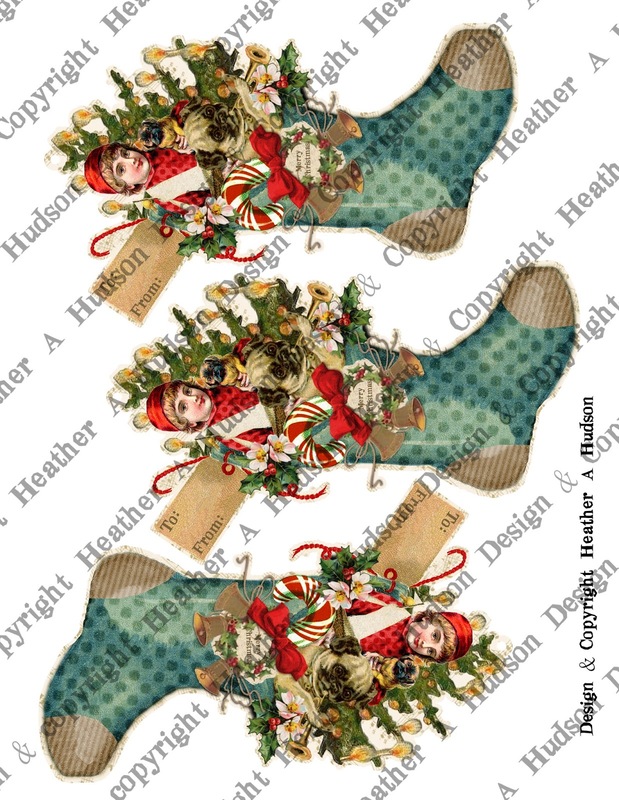 Victorian Boy Christmas Stocking Collage Sheet. I have to say...I LOVE it...lol. Here is a look at the sheets that you get in the set. 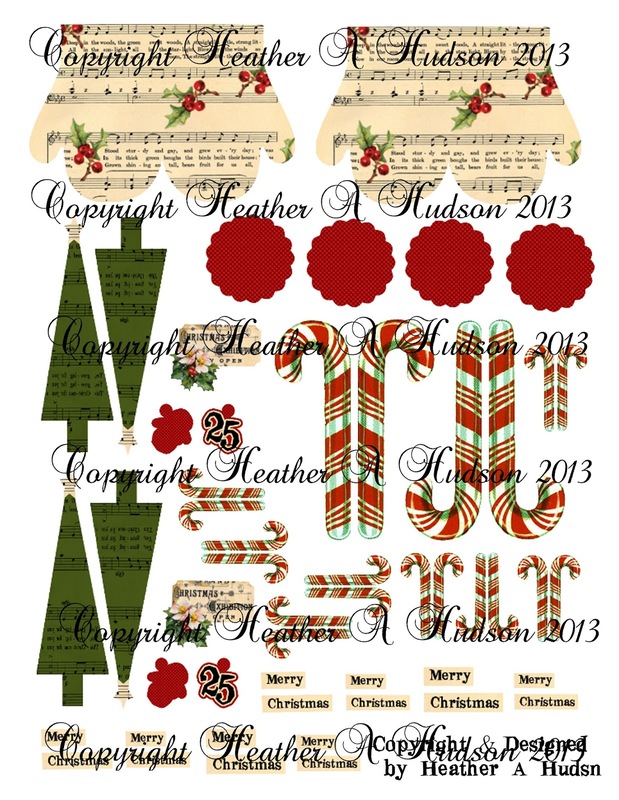 This page and the second page pieces will all line up back to back if you would like your tags or ornaments to look pretty on the back too. Otherwise you can use a light colored paper and write a memory on the back..that would be so sweet! I used a bunch of images to create this collage. The hardest one to see is the tiny sailboat that I created...lol. The sail looks like a sash on my little boys shirt...but it is a boat...lol. I guess I got a little carried away with the images....lol. 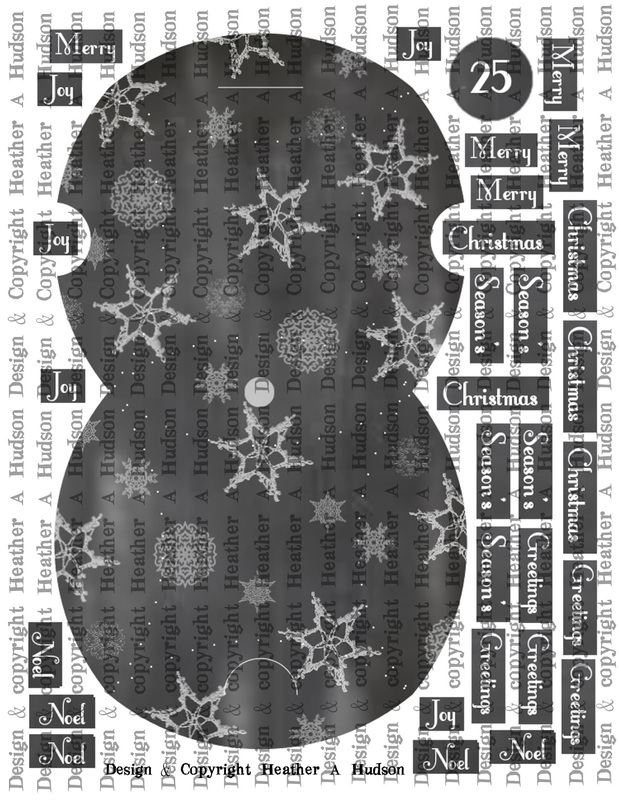 Here is an ornament that I made using the largest Image. While little Gabriel is holding "Pugsley's" little sister "Poodles"
I added a Candy Cane, Wreath...Bow...Holly...and of course the Christmas Tree. I stuffed all kinds of goodies into this stocking! Of course I covered it with a ton of glitter!! So it is super sparkly!! Here I have a photo of the large ornament next to the other pieces that come on the same sheet so you can see the sizes in comparison of each other. 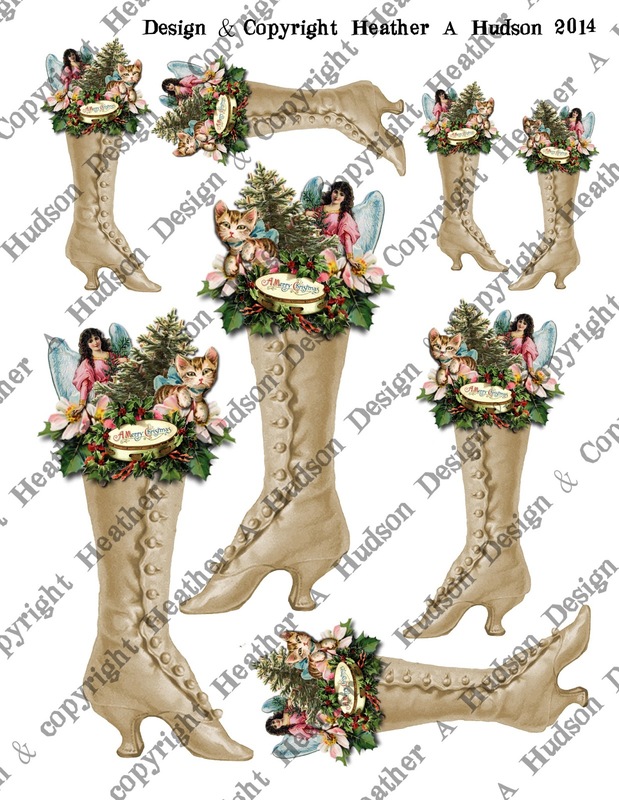 Victorian Christmas Boot Ornaments...That are Girly Pink, Vintage White, Victorian Blue and Traditional Red. I think that is so sweet! I hope you enjoy my sheets...and Ornament!! 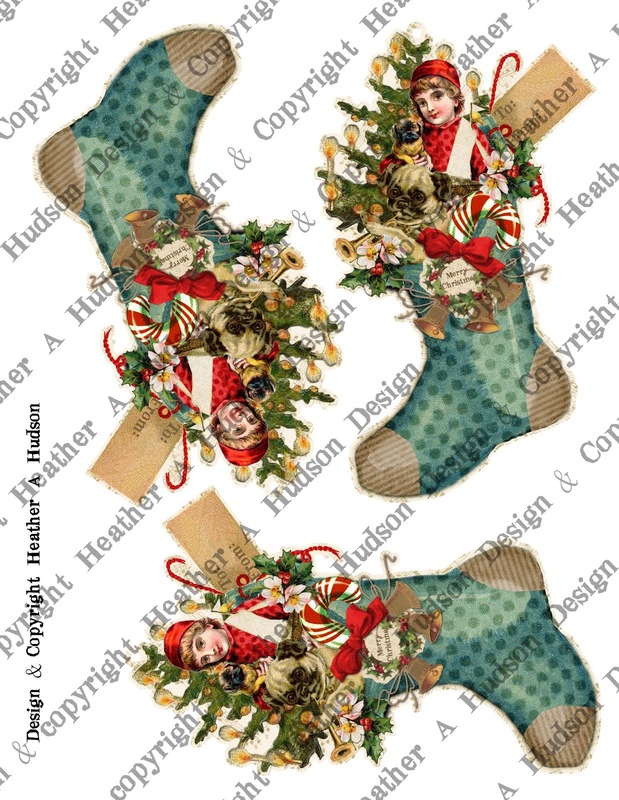 December Really Reasonable Ribbon Blog Hop!! Hopefully you are visiting me from Karen's Blog. 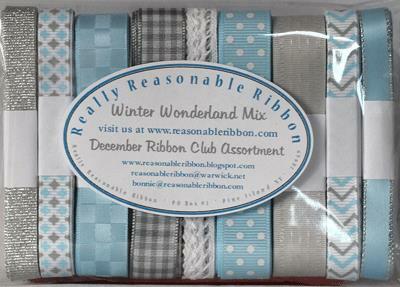 Here is a photo of the Ribbon Assortment below!! I used the Diamond Print, Plaid Grey Ribbon, Priscilla White Crochet Lace, Blue Swiss dots, Delicate Stitched Satin Grey, Blue Satin with Silver edges and Blue/Silver Chevron Striped Grosgrain from this month's kit! I also used Tombow Foam Tabs, Silver Metallic Baker's Twine, and Baby Blue Mulberry Roses to give my tag a lovely decorated touch. digital collage sheets extra pieces. 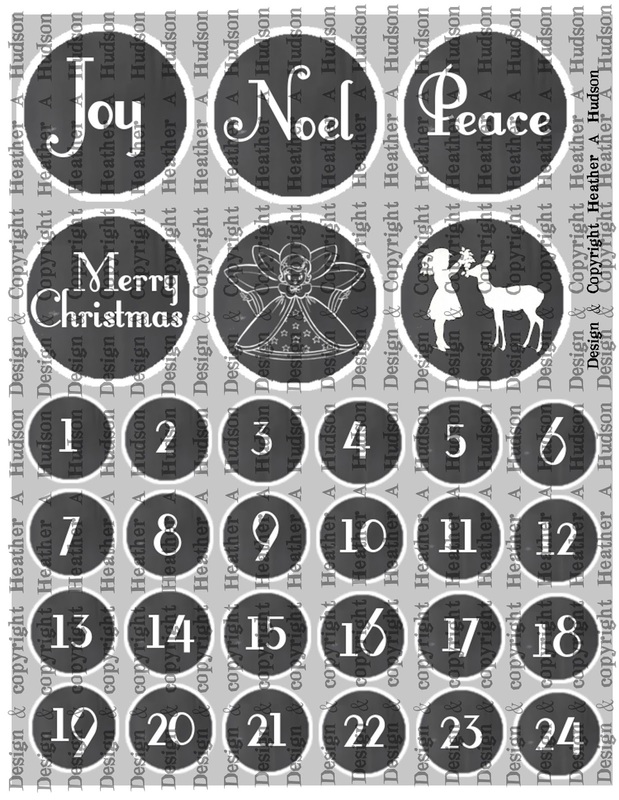 I started out with my Large Music Tag Base Piece ($3), Layered on a Chalkboard Tag from my Chalk Board Pillow Box Ornament Set (3 pg set $10). I wrapped the Delicate Stitched Satin Grey, Priscilla White Crochet Lace, (hidden under stuff) and Blue Satin with Silver edges, around the bottom part of my chalk board tag. Tombow Foam Tabs were used to elevate it from my Large Music Tag Base. Blue/Silver Chevron Striped Grosgrain, Diamond Print, Plaid Grey Ribbon and BlueSwiss dots were layered onto the base Music Tag. More Tombow Foam Tabs were used to elevate my Vintage Angel, Sentiments and #24. Plaid Grey Ribbon and Blue Satin with Silver edges Ribbons were used to create some simple bows to add some dimension to my tag. I also tied to Vintage Buttons and top of my tag with the Silver Metallic Baker's Twine. Baby Blue Mulberry Roses, to finish off my embellishments. Fauna, Garnet and Storm Glitters were used to give my tag some sparkly touches. 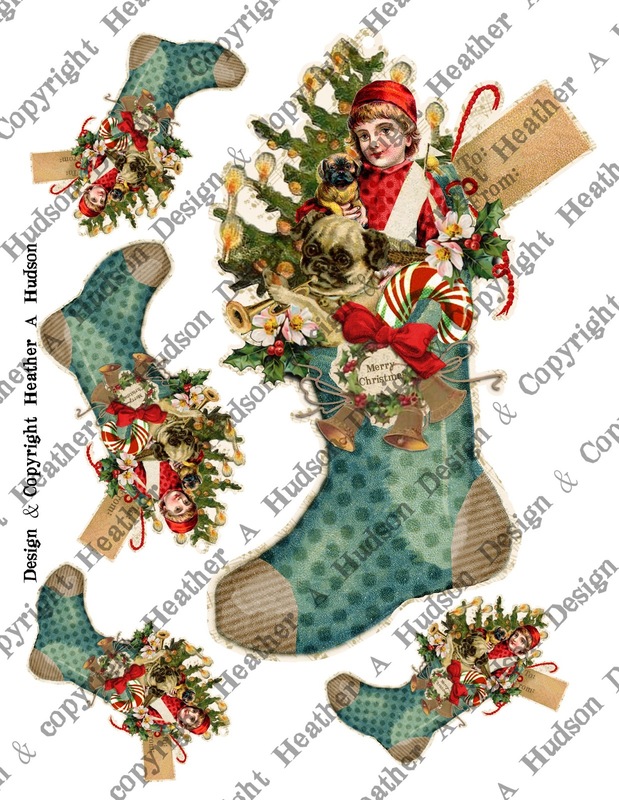 I just loved working with this month's ribbon assortment!! Here are the collage sheets that I used pieces from. I hope that you have been inspired to create some fabulous projects and do a little shopping and maybe get yourself some fabulous finds from Really Reasonable Ribbon. Time to hop on over to Teresa's Blog see what she has created, and leave her a little love. (you can see this in my video below). layered across the center of my card. Here is a tutorial of how I created this card. I hope you are having a fabby day!! 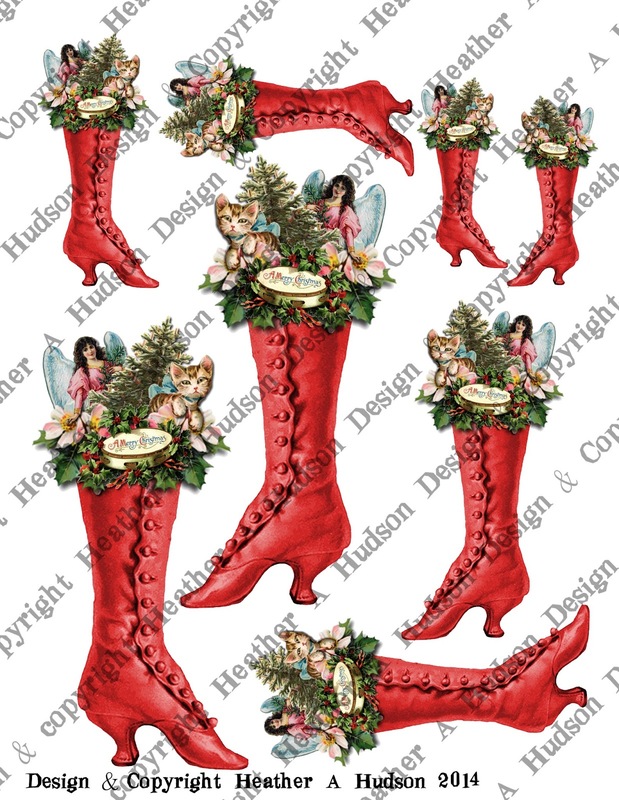 Today I have a couple Quick and Easy Christmas Projects I would like to share with you. Here are a couple close ups of the below. I used the Pink Diagonal Ribbon and Natural 1/4 inch lace. I used my Bow it All tool to make the two bows on the sides. 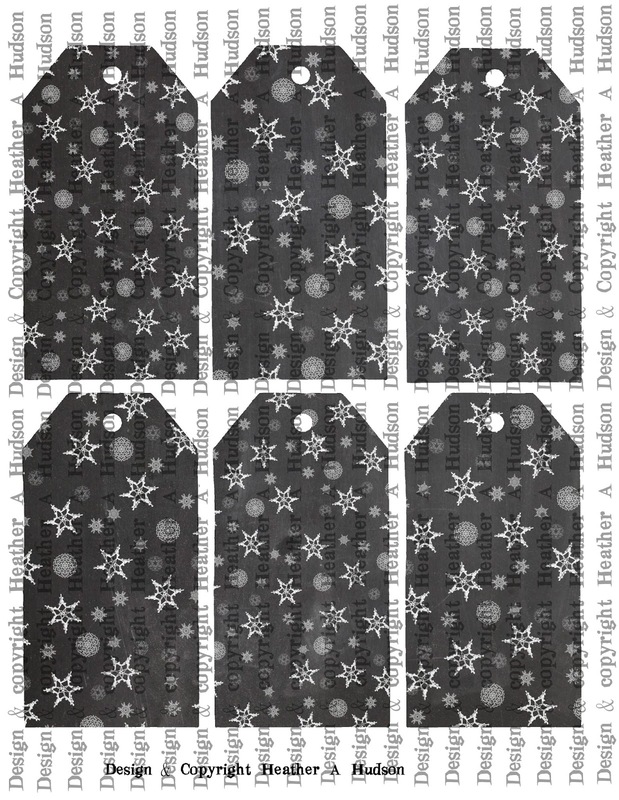 Noel Tag and Present Tag set. Red Micro Gingham. I just tied a simple knot to create the bow. This time I used a couple pieces from different sheets. Merry Christmas Sentiment from my Noel Tag and Present Tag set. Candy Cane and Christmas Tree from my Traditional Mitten Set. The Little Victorian Christmas girl and Spring Green Tag Bases. Red Plaid Ribbon to create my bow above. You can link up and get the details here!! (hop on over to the challenge blog and get all the deets). 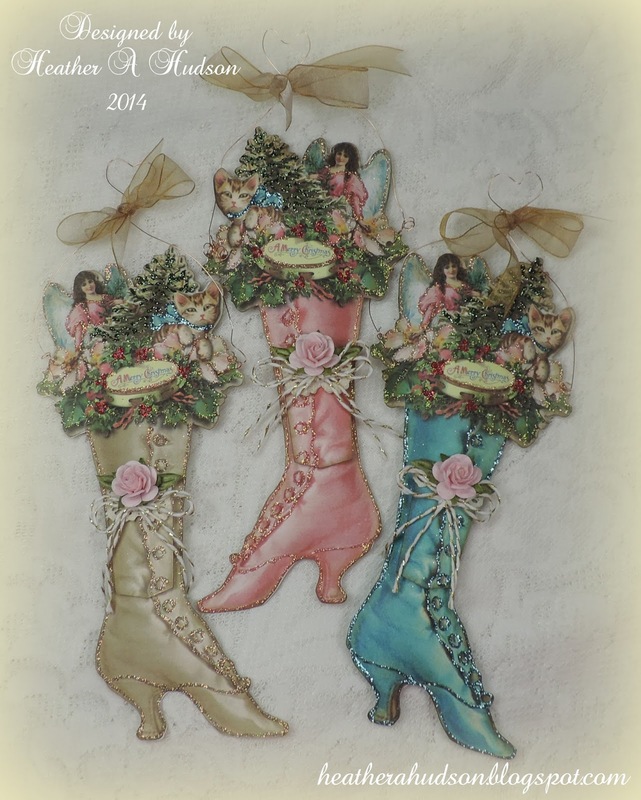 I was actually contacted through my Etsy shop, by Beth to see if I could make her these three ornaments, which I don't normally sell finished projects :0)...but I decided why not...I would do a tutorial. 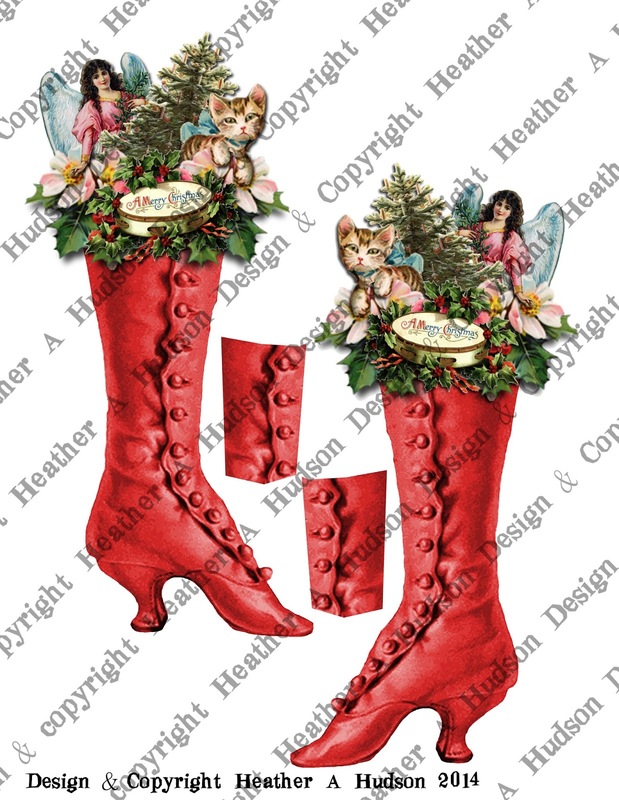 So...she asked me if I would stuff the boots, and at first I was hesitant about that...but once I started, I LOVED them! Of course...I am thinking I need some for myself. 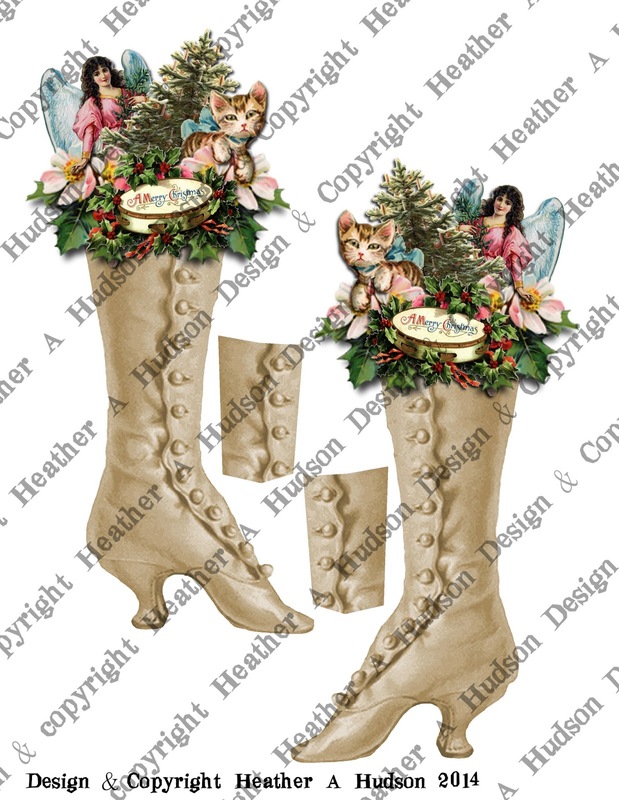 I used some Really Reasonable Ribbon Goodies: Moss green Leaves,Gold Metallic Baker's Twine, Baby Pink Mulberry Roses, Tombow Foam Tabs and Juliet Lace on the tiny pockets of my boots. I used Gold Organza to tie my bow at the top. Winter White Boot Collage sheet that you can find in my Etsy here. 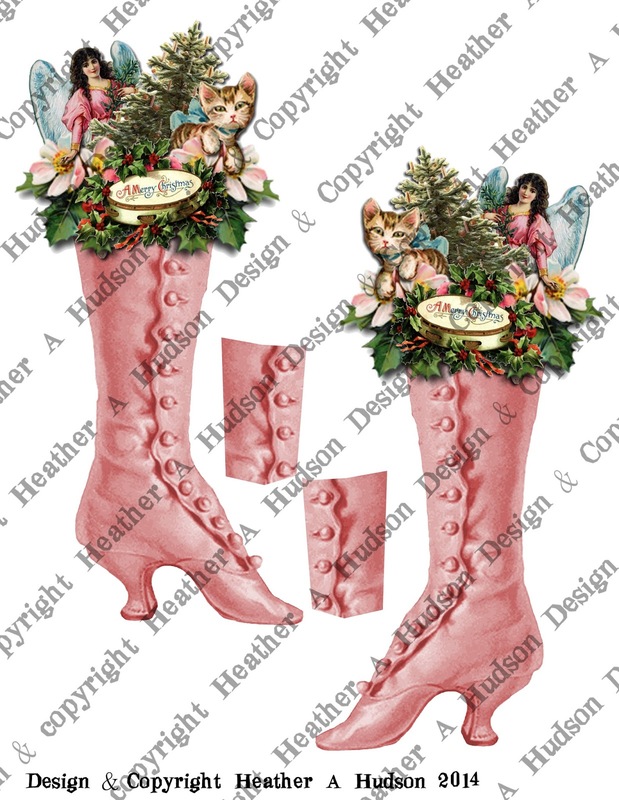 Shabby Pink Boot Collage sheet that you can find in my Etsy here. 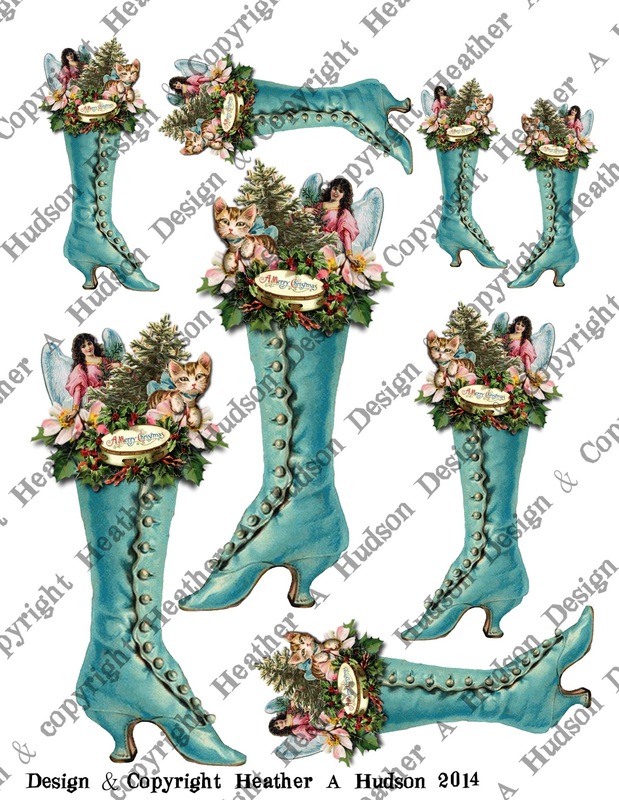 Original Blue Victorian Boot Digital Collage sheet you can find here. Here is how the sheets look. Gloria's Celebrate the Season Challenge.